I am super excited about the swatches I have for you tonight! This is a new to me brand, but is quickly becoming a favorite of mine. 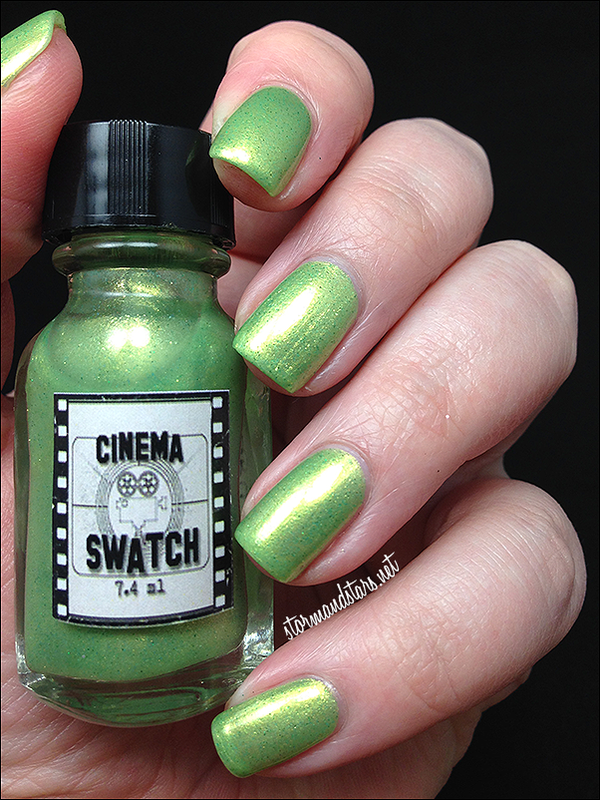 Meet, Cinema Swatch Lacquers! When I was approached by Rachel to review this collection I was so excited, because Moulin Rouge is one of my top three favorite movies of all time. I couldn't wait to see what she came up with and I was not disappointed! 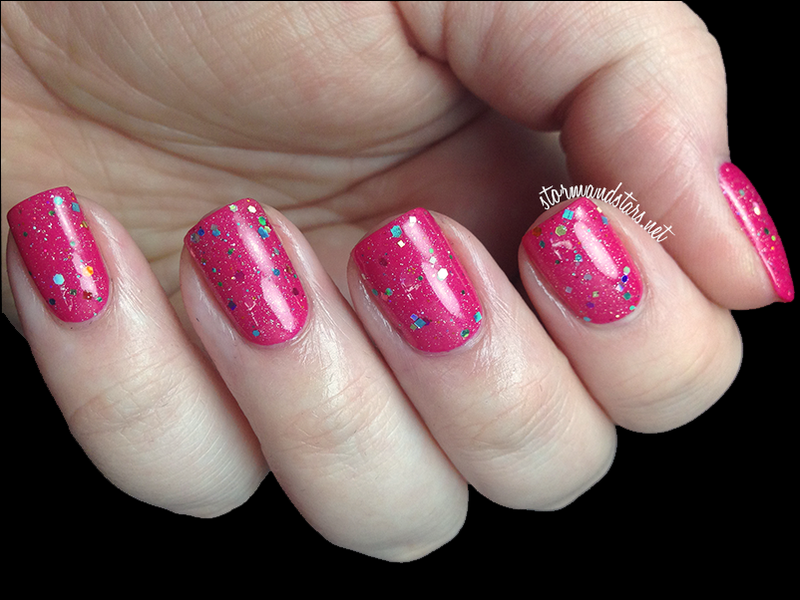 Here I have four of the six lacquers from the full Moulin Rouge collection. 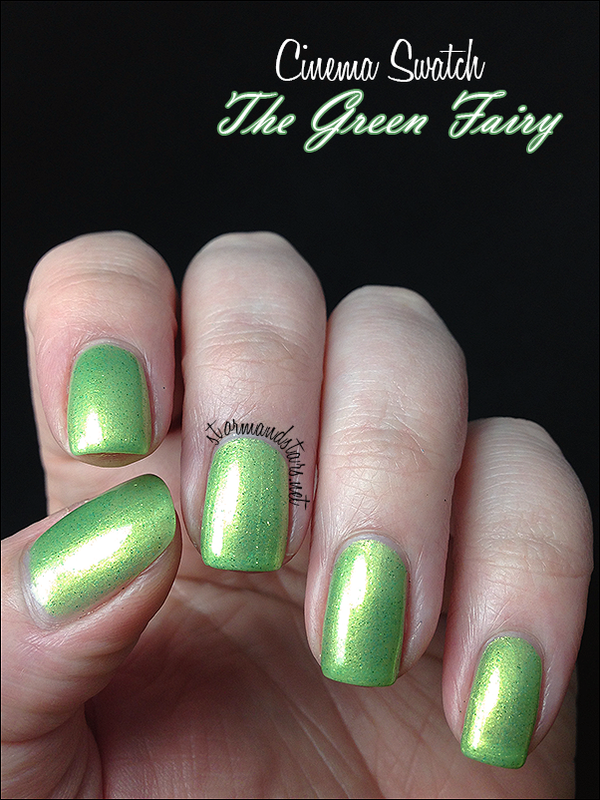 First up is one of my favorites and definitely the brightest of the collection, The Green Fairy. 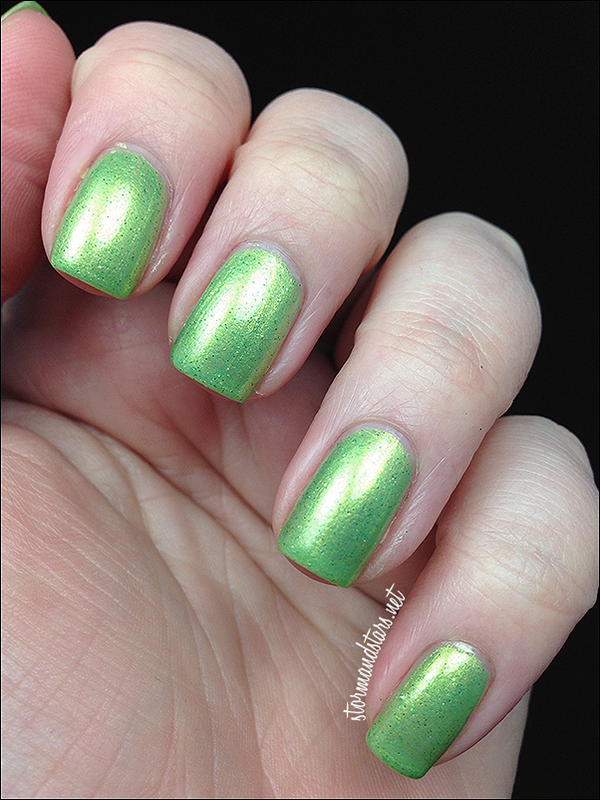 The Green Fairy is a shimmery green polish with a slightly gold undertone and shimmer. 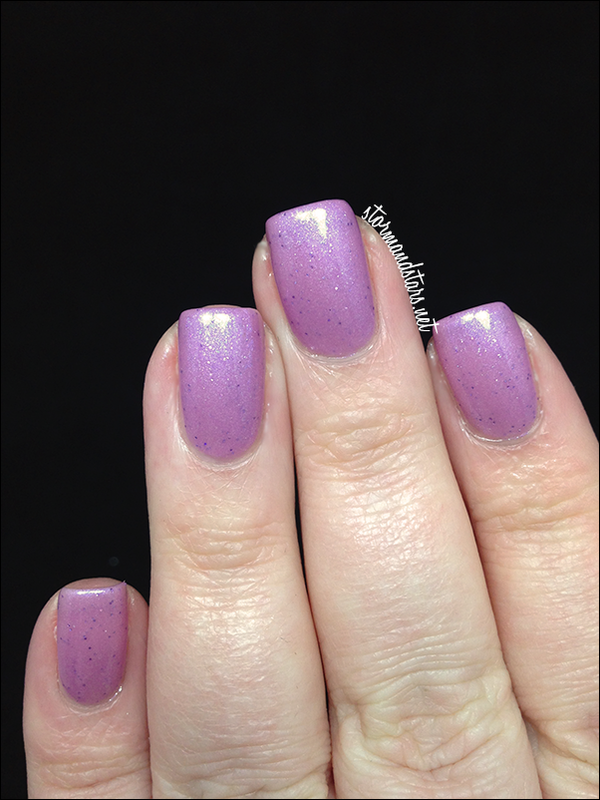 I used three flawless coats of this lacquer to reach opacity and then topped it with a layer of top coat to finish it off. 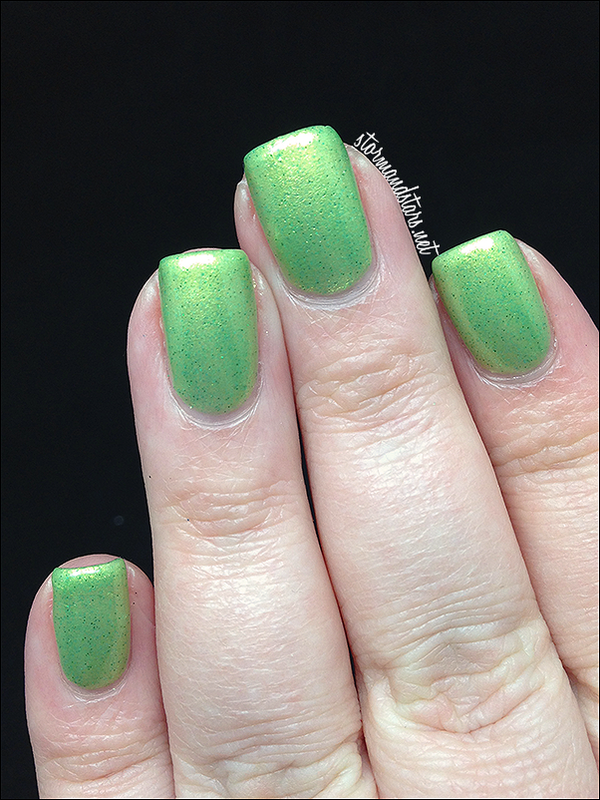 I absolutely love everything about this green! 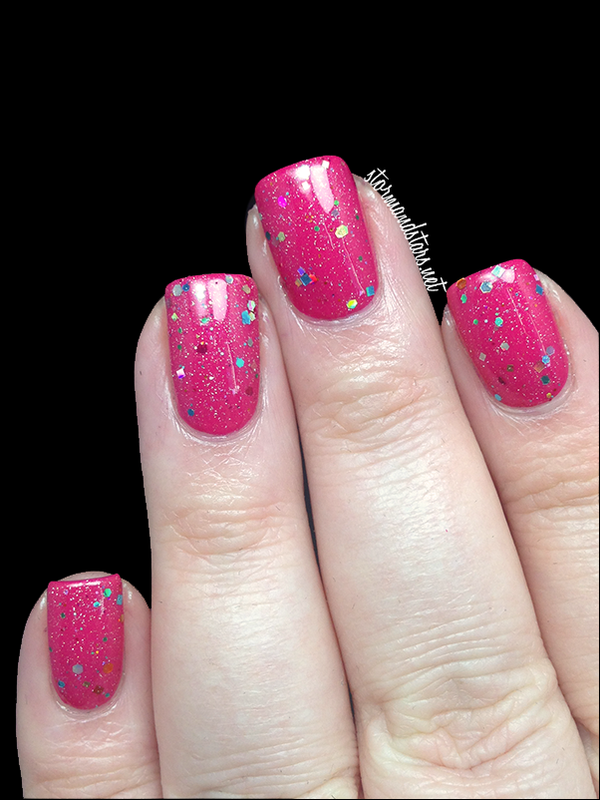 It is bright and shiny and sparkles and I just really love the formula and everything!! I can see this being featured in a lot of spring and summer manicures. 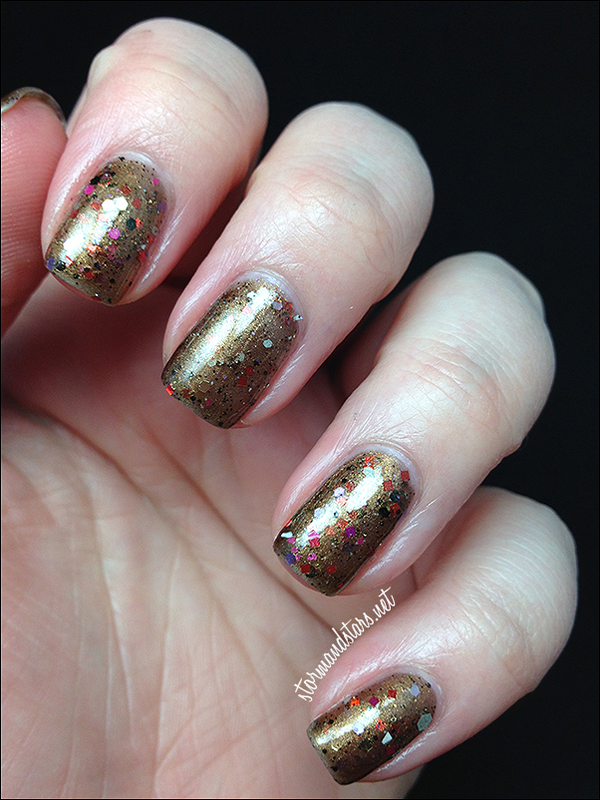 Next up is the only glitter topper in this collection, The Show Must Go On. 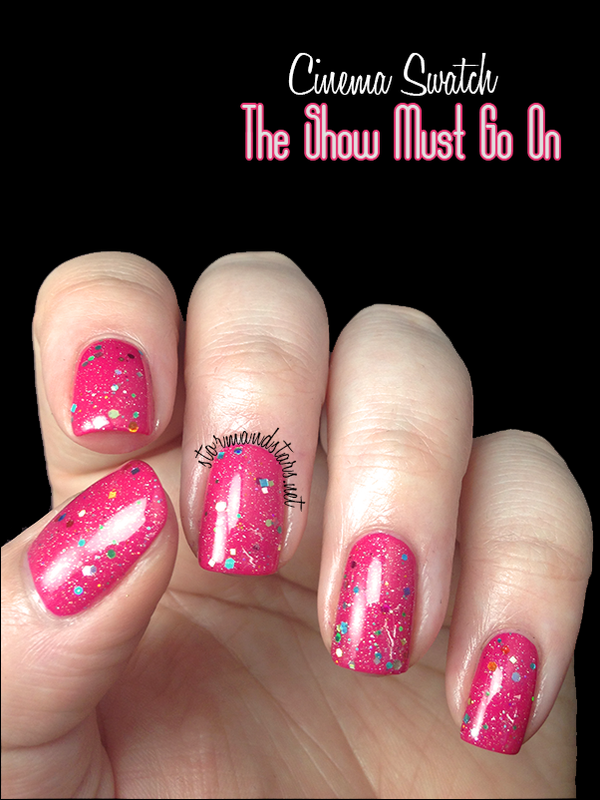 The Show Must Go On is a clear base with multi color glitters and a silver micro glitter that makes it super sparkly! 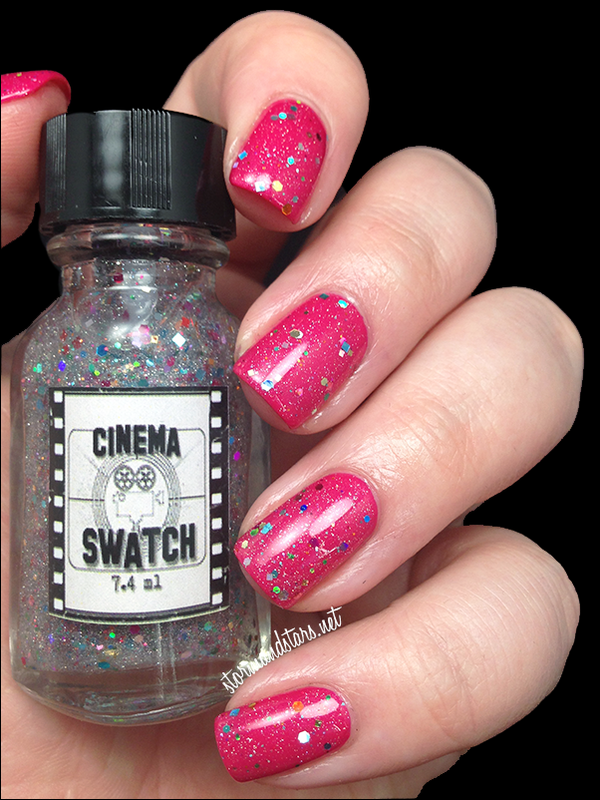 This is packed with glitter and I used only one coat of it over Wet N Wild Lady Luck to achieve this look. 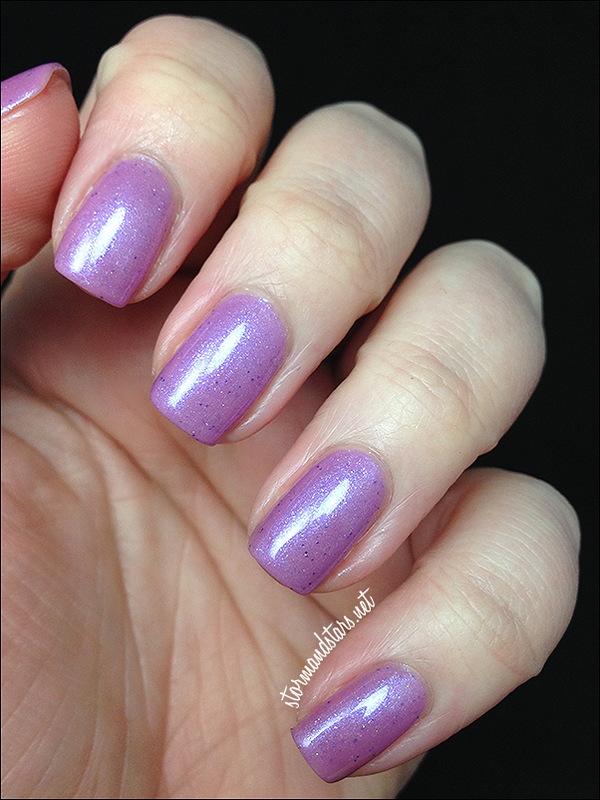 I topped it with a coat of Seche Vite to smooth it out and really make it shine. 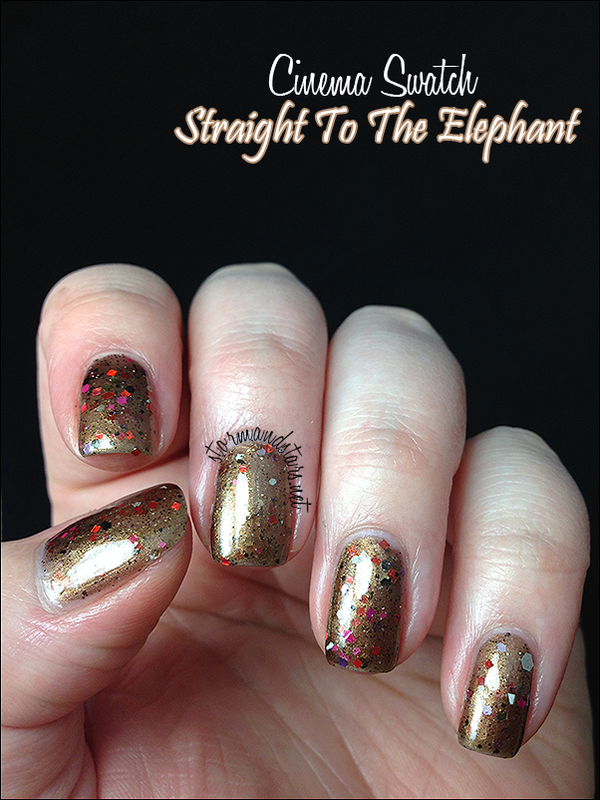 Straight To The Elephant is a metallic golden brown lacquer with multo colored glitters throughout and a slight shimmer as well. 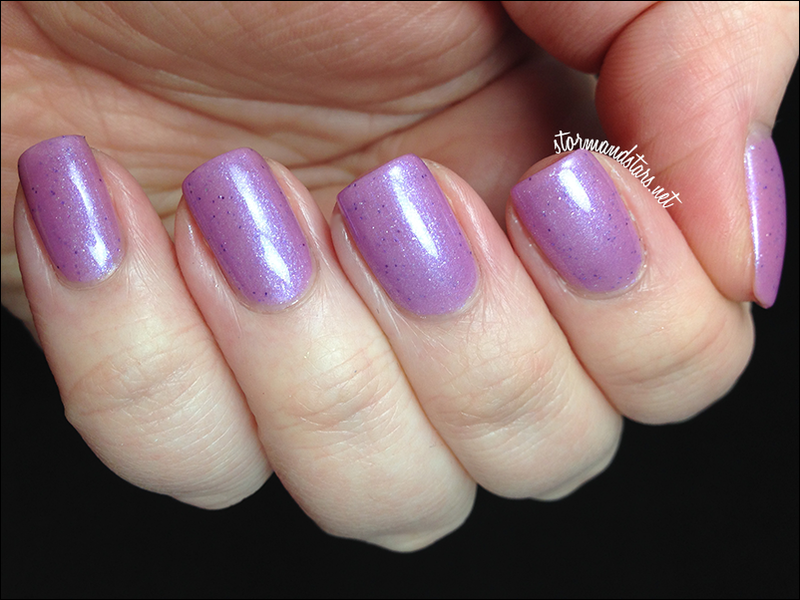 I used two coats of this polish for these swatches. I did notice the lacquer is on the thicker side, but it didn't cause any application issues at all. I may add a couple drops of thinner before I use it again, but that is mostly personal preference. 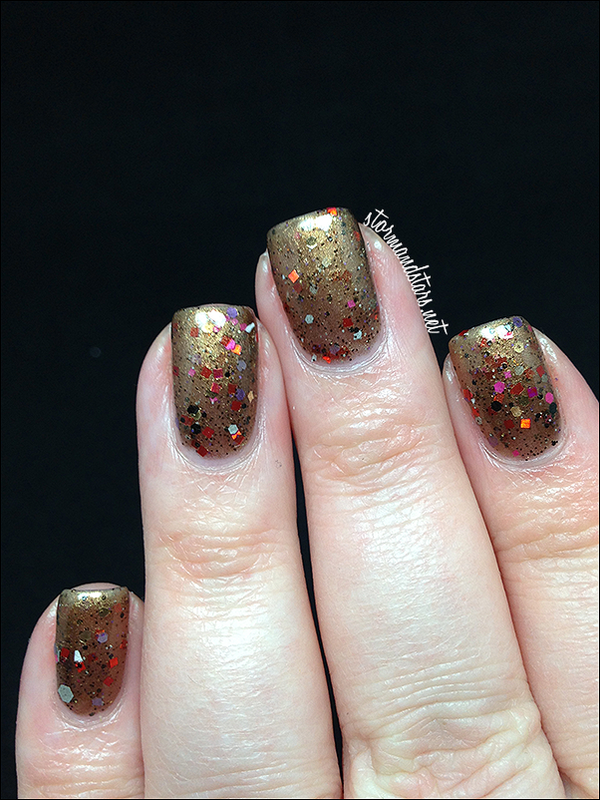 What do you think of this metallic shade? 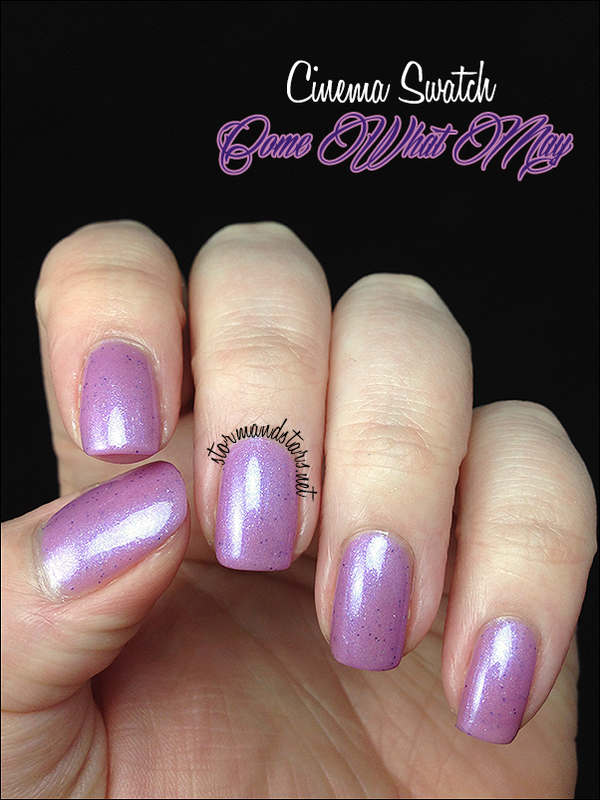 Come what may is a beautiful purple lacquer with a strong shimmer and some blue undertones. 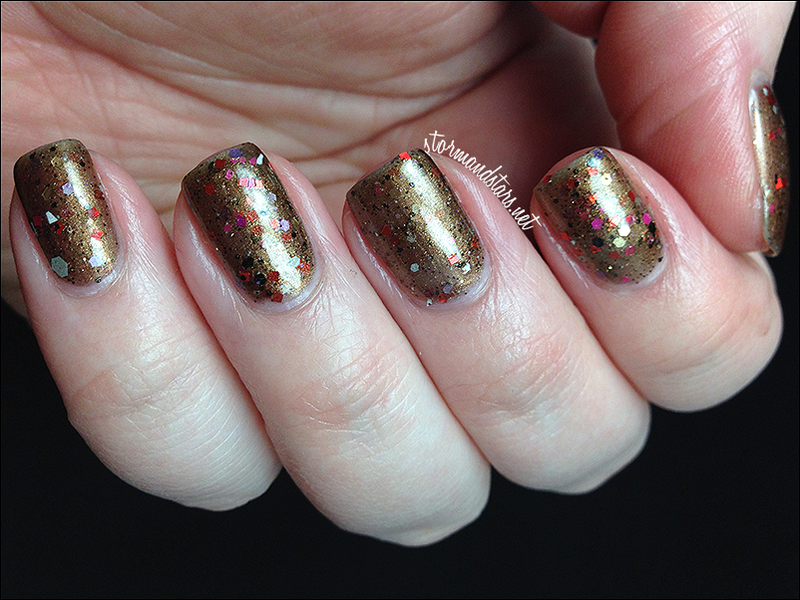 I used three completely perfect coats for this manicure. The application was flawless. 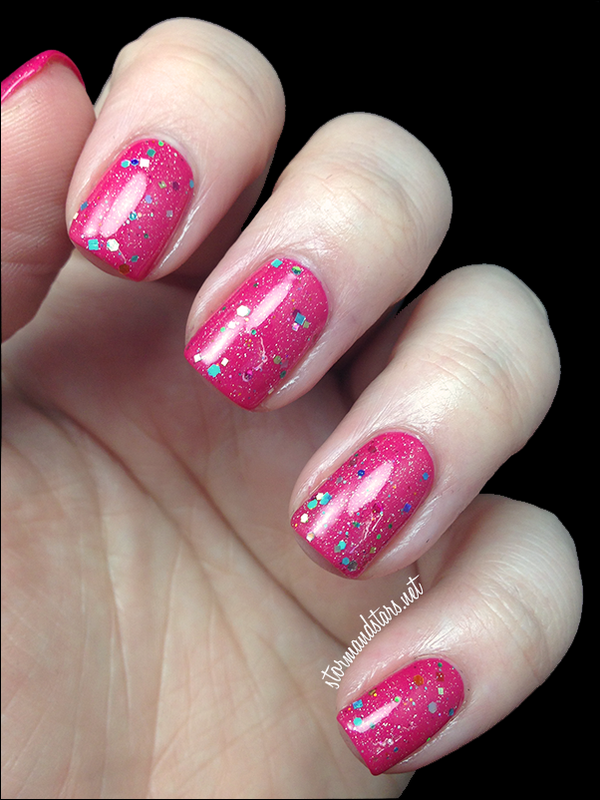 I used one coat of Seche Vite topcoat to seal it all up. Let me tell you something about Come What May. I applied this lacquer on Saturday mid-day. Lasy night (Wednesday) I was still wearing it and not only did I not have any chips, I had extremely minimal tipwear. I would say about half my tips were still wrapped. 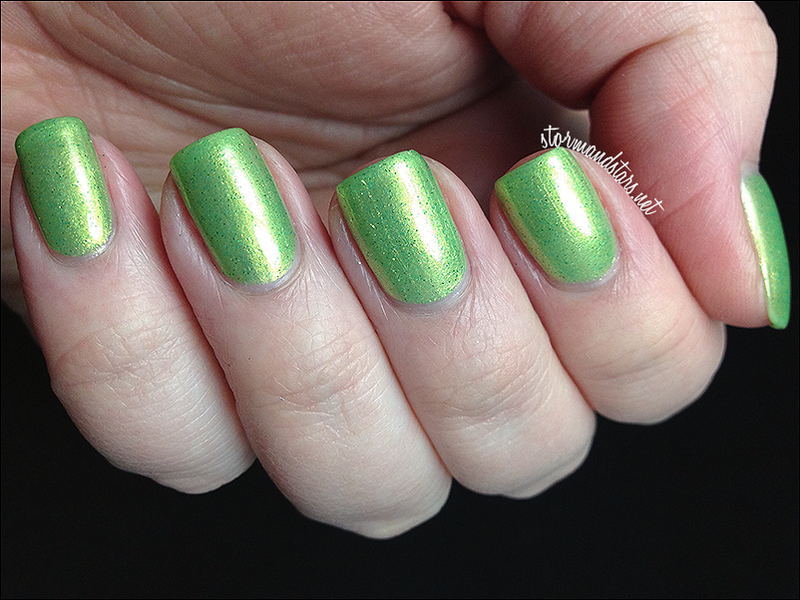 I am extremely impressed with the lasting power of this lacquer! What do you think of this collection? Do you like collections based on Movies? I really enjoyed this one, and I hope you did too! 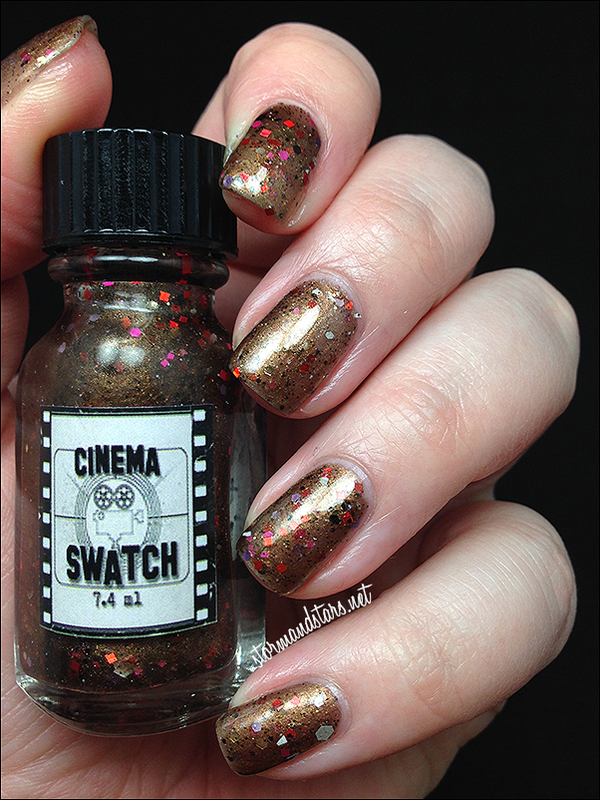 You can purchase Cinema Swatch Lacquers from their Shop. Please also consider following Rachel on Instagram and Facebook for more news and info about the brand!